A finicky blaster, but still fun to use and aesthetically fantastic. 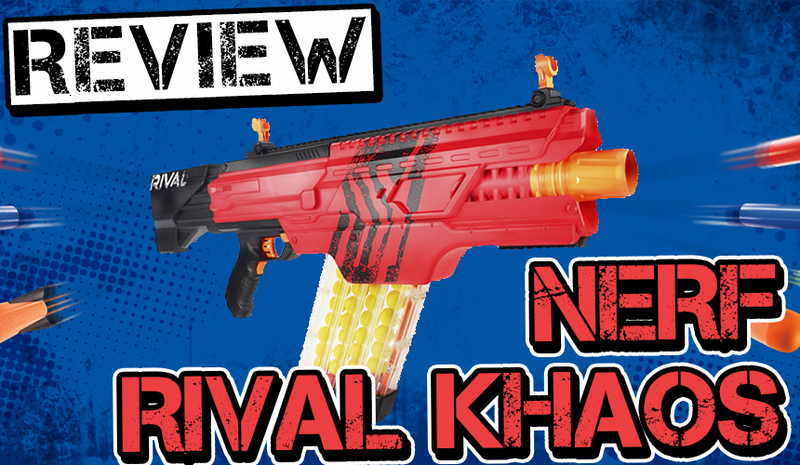 Nerf Rival Khaos Review: Frustrating and Fun? One of 2016’s flagship blasters, the Khaos MXVI-4000, is finally starting to find its way to stores across the nation. I managed to get my hands on one of these $70 Rival blasters to do a video review. In addition, I’ve added some thoughts I’ve had since completing the video for this gigantic blaster. The big question myself and many others are left with after getting our hands on this blaster is: “Will the Rival Khaos magazines be available for purchase separately?” To which we don’t yet have an answer. There are several DPCI codes (the numbers used by Target stores to identify products) that are reserved for Nerf products that have yet to be identified in the price range of what could be a standalone Khaos magazine. This gives us hope that we’ll see them on shelves, but I’m not banking on this. Personally, I think the best-case scenario will be for Hasbro to make them available from their online web store the same way they made Sledgefire shells available. This way they can sell them without extra High Impact Rounds or packaging, allowing for a more reasonable price point. In terms of functional design for the blaster, there was an issue I wasn’t made aware of until after the video, which is that there are no built-in sling mounts on this blaster. So, for those of you that like to sling blasters behind you while running around at games, you will have to look for aftermarket options. I don’t think that’s a terrible thing, since the locations Hasbro chooses to put sling points on their blasters aren’t always great. 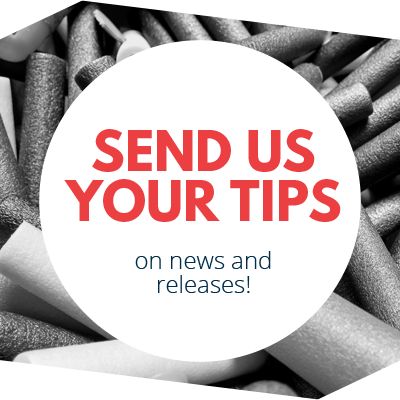 There are plenty of aftermarket options for sling adapters made for Nerf blasters, which will give you the freedom to put a sling point wherever you’d like. The conveyor belt system is something I was really not a fan of after using the Hyperfire. The delay between trigger pull and actual firing left it feeling a bit sluggish to me. I feared the same for the Rival Khaos. However, it did feel a bit better use, which was a pleasant surprise. If you were in the same boat as me, don’t knock the Khaos until you’ve tried it. Like I said in the video, this blaster is by no means a performance powerhouse. For those of you playing stock style games, it will hold up well enough. Beyond that, the blaster is just fun to hold and use, it has a heft that makes it feel substantial. The aesthetics look like it’s been pulled from a video game and dropped into your hands. The fun factor to me compensates for the challenges this blaster brings. The biggest frustration though, is the awkward loading of rounds into the magazine, followed by loading the magazine into the blaster. These are real issues you should be aware of, along with the slower than advertised FPS readings. If you don’t find these to be deal breakers, then I think you’ll enjoy this blaster. 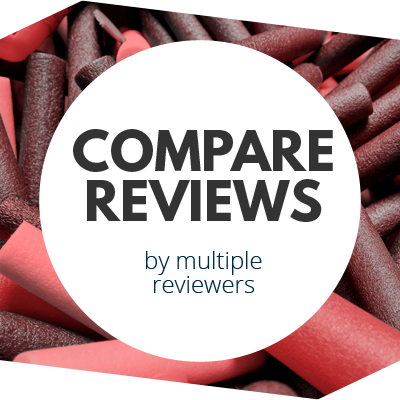 This entry was posted in Reviews and tagged Chronograph, Data, FPS, Khaos, MXVI-4000, nerf, new, Range, review, rival on July 22, 2016 by Jangular.